Using a professional for your garden maintenance and upkeep is one of the best ways of ensuring a brilliant finish. Often keeping a maintained garden can be time consuming and for those who work full-time it’ll be a chore. Compare quotes from reputable professionals in your area and decide if you’re in need of someone to provide maintenance and upkeep of your garden. 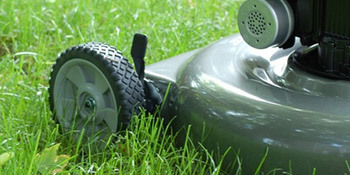 Creating a beautiful lawn is an art and services provided from professionals include mowing, edging and strimming. Whether you require the service on a weekly, fortnightly of monthly basis, professionals can guarantee a top-notch finish all year round. For those with large gardens or grass areas, hiring a professional can be even more necessary. Commercial uses for a professional include schools and football pitches and stripes can even be created for the aesthetic finish. The maintenance of the rest of your garden is also extremely important and in the modern day people don’t always have time on their hands to ensure their garden is looking its best. From the bushes and hedges to flowerbeds and shrubs, keeping everything in check can be a great task, especially for those with larger gardens. A garden’s requirement changes throughout the year, known as seasonal maintenance. Ensure to find the right professional for your needs with quotes from a number of experts. For the best garden maintenance and upkeep quotes, compare prices from a number of companies to ensure of getting the right cost. Simply complete our quick form below and hear from up to four vetted professionals in your area who’ll be able to provide FREE quotations for the garden work you require. Project: Customer visited the mygardeningprices.co.uk site and submitted an enquiry. Property type: Semi detached, Work description: I would like to weed and plant some flowers. Project: I need my front and back lawns mowing. They are not very big, but are very overgrown! Arranged to come by 6pm that day and didn't show up. No quote as yet, possibly at all. Very hardworking, knowledgeable, polite. Cannot ask for more. Extremely, pleased with all work done so far. Intend to keep using. Very knowledgeable about plants etc. And very good at suggestions for planting etc. Provided us with a very good gardener. Made it easier and the contractors came to me.